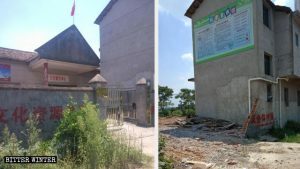 Last year, Fujian authorities forcibly shut down and demolished some factories on the pretext of “combating pollution.” The owners were denied compensation and illegally detained while fighting for their rights. 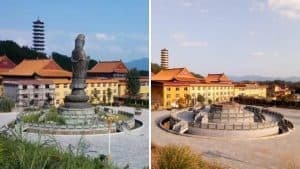 A Putian city resident in China’s southeastern province of Fujian provided Bitter Winter with photos and eyewitness accounts how, last year, local authorities targeted several stone factories and mistreated their owners. 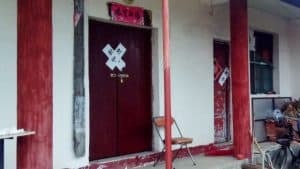 However, Chen Guoqing, one of the owners, refused to toe the line and shut down his factory, because he believed that the compensation provided by the authorities was not adequate. The demolished stone factory building. 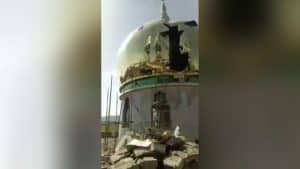 But the officials proceeded with the demolition. Mr. Chen’s wife tried to plead with them again, saying, “We rely on the factory to survive. We need the money to treat my sick grandson who is at the hospital.” Since they ignored her again, she tried to run into the factory to stop the demolition but was held back by over a dozen police officers. They then shoved her 100 meters away and threw her onto the grounds, causing her to faint and sustain fractures. Destroyed stones from the factory. 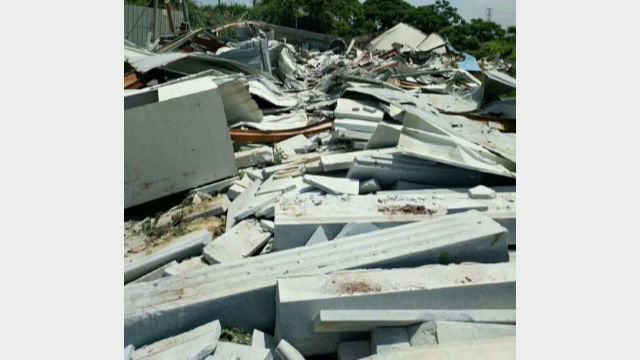 The officials did not stop at the factory’s demolition. 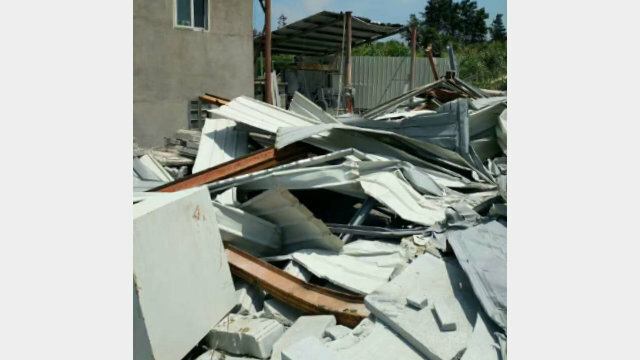 On July 3, they came in again and demolished Mr. Chen’s residence as well, which was located inside the premises of the factory. 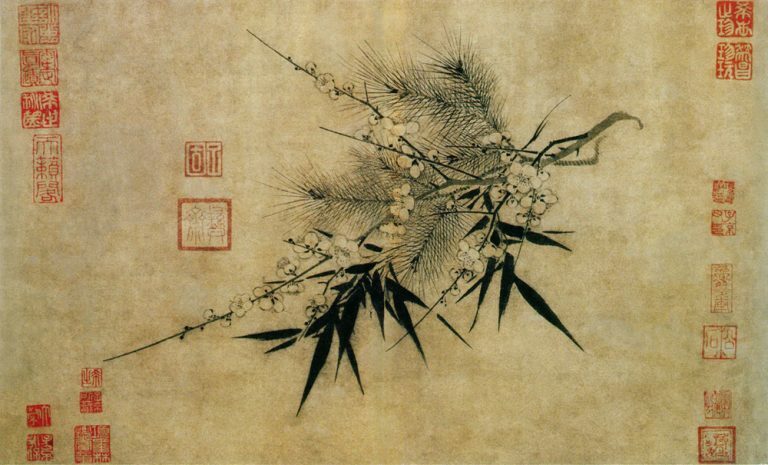 Enraged at the tyranny of the authorities, Mr. Chen demanded answers from them. 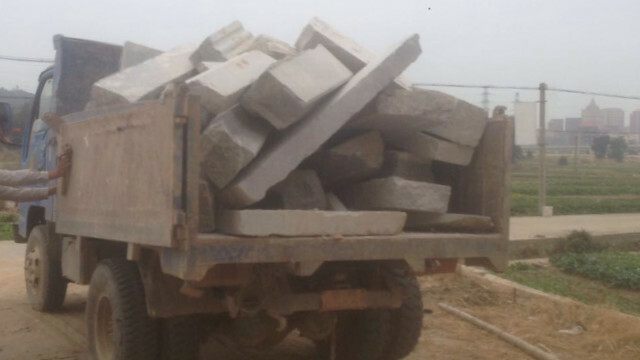 Stones from the factory are hauled away on government vehicles. But a local party official, Xu Jiahua, only said, “I’m enforcing the law. I’m going to get rid of all the evidence here. If you have what it takes, then go and talk to President Xi Jinping.” Within the next eight days, every item was removed from the factory. Since then, Mr. Chen and his wife have made multiple visits to provincial and state bureaus of Letters and Calls, but to no avail. 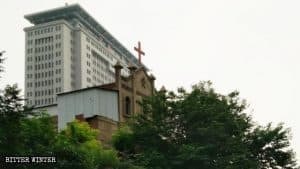 On the eve of the 19th National Congress of the Chinese Communist Party in 2017, they were arrested on their way to Beijing and held for four days. They were detained again this March during another attempt to reach Beijing; this time, for then days. 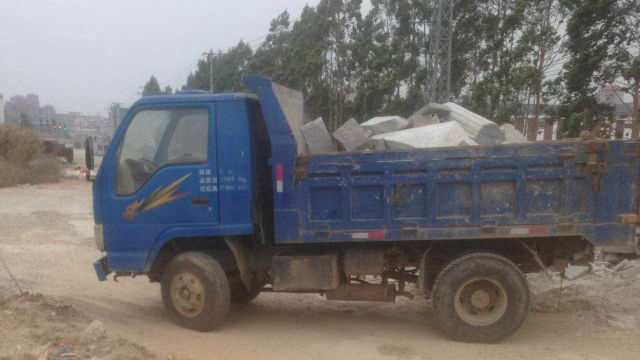 Another stone factory owner, Chen Jinshou, has suffered the same fate. His factory was razed to the ground as well, and his losses totaled up to one million RMB or about 140,000 USD. He hasn’t received any compensation to date. The authorities won’t allow him to lodge a complaint either, even though he has made over ten attempts to do so.